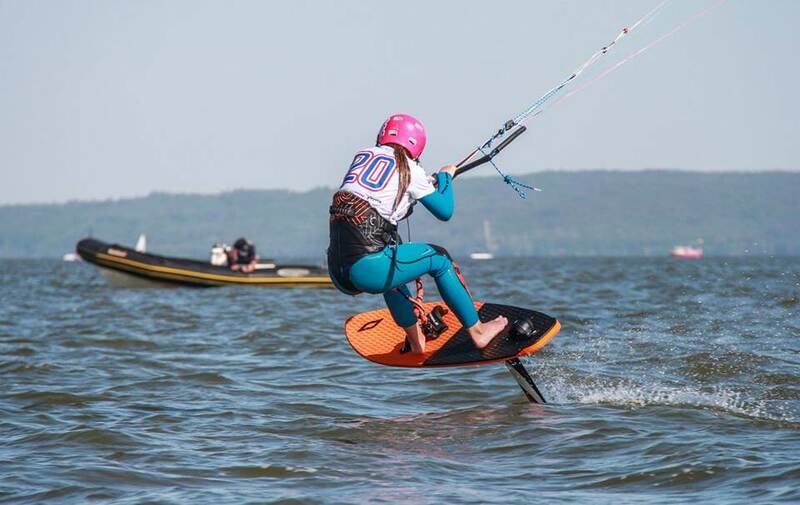 We have just finished three days of sports competition held in the waters of the Vistula Lagoon. Krynica Morska welcomed us with a great weather. 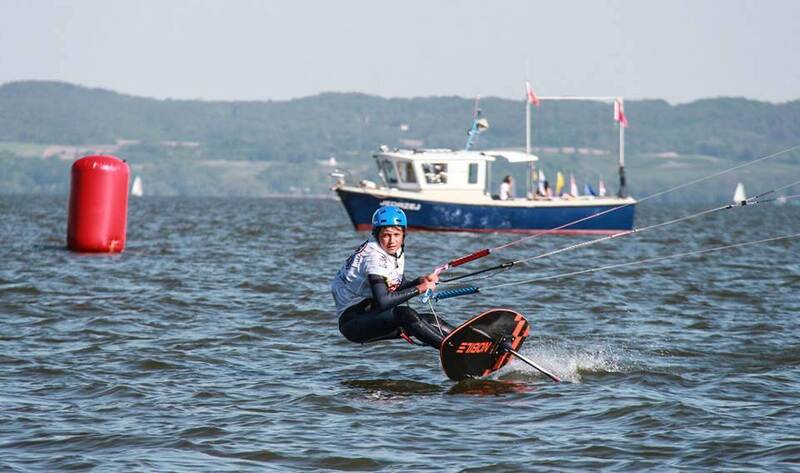 The basin was divided into three areas for different sailing classes to compete, including foilboarding for the first time. It was a great effort – we have completed 26 races in total, which is the record so far in the history of foil class contests. Kudos for judges and organizers! Wind conditions were strongly changeable, often critical. Coach Tomek with his photo/assistants had their hands full, in order to help all the needy, not only enjoy observing the sports rivalry. And there was a lot of action in those conditions. 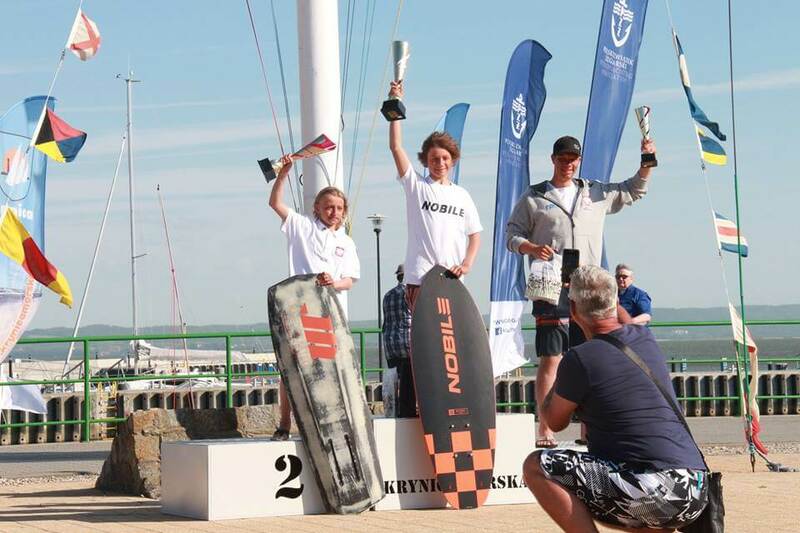 There were nine contestants – both male and female – in foilboarding competition. 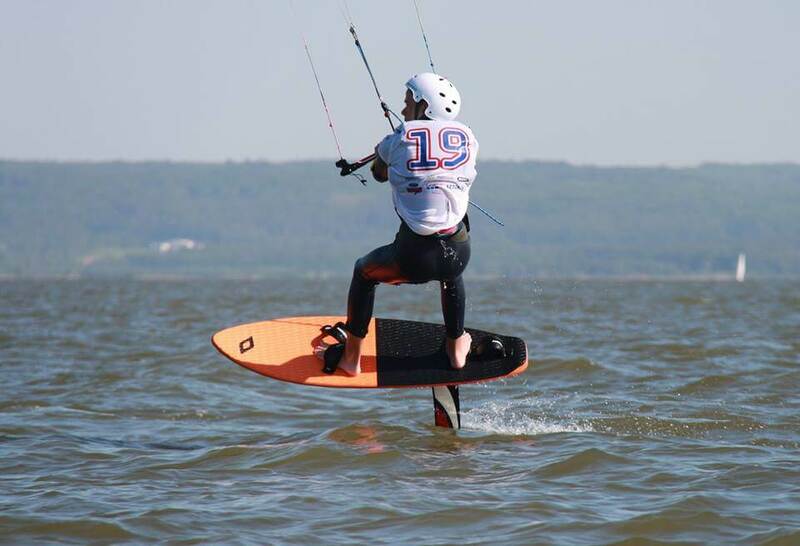 Besides of Maks Żakowski Kiteboarding and Arkadiusz Kusalewicz there were almost complete levitating crew of Kite Surf Academy and Kuba Wątorowski as well. 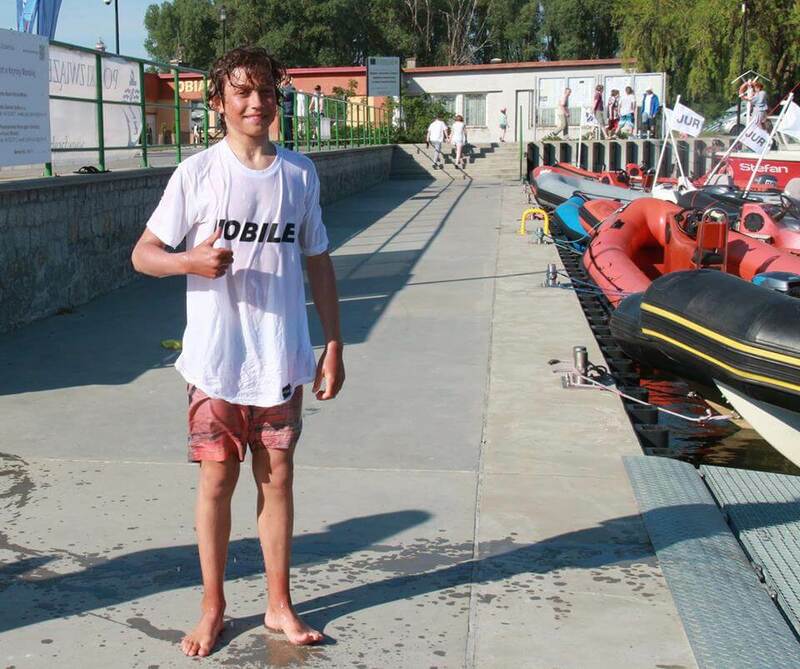 On the first day (Friday) we made short work of all nine races, in order to finish them before the forecasted storm. We managed to do it just on time. On the second day the wind was stabilizing direction and strength quite long. The last day of competitions allowed us to play eight contests. Everything was fine and performed very efficiently. 3rd position in JUNIOR category. 4th position in JUNIOR category. After decorating, as usual, winners landed in harbour’s basin. There was no mercy – tradition means tradition! 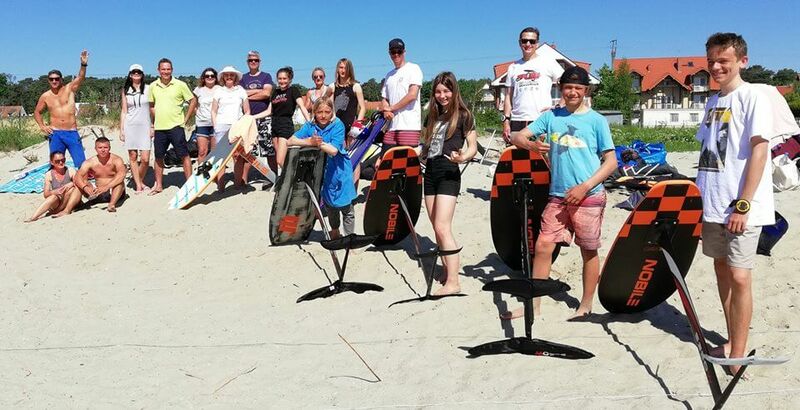 Many thanks to organizers – Polish Sailing Association; a friendly city of Krynica Morska; the Krynica Hotel and its owner – Mr. Darek for making a parking and infrastructure available for us; coach for preparing, care and rescue; and Sopot Sailing Club as well.